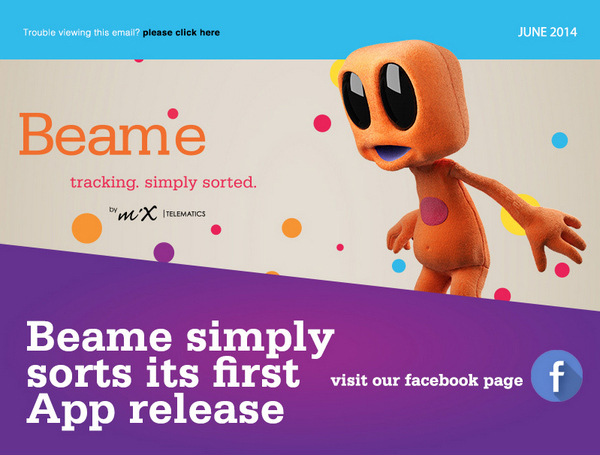 Beame revolutionised the tracking industry in the pioneering launch of a wireless tracking unit. The brand, in just three short years, took the market by storm and offered an affordable, wireless solution with benefits to consumers everywhere – the most important being one of the best recovery rates in the industry. The brand catered for audiences looking for affordability and functionality. The wireless solution answered the market need for a simple, non-intrusive product that wouldn’t tighten the purse strings and in doing so, ensured that tracking became a reality for a much broader South African market. No matter how broad the market, some fundamentals just don’t change; consumers everywhere no longer have the time to fuss over detail, so from installation through to management, Beame customers enjoy simplicity in its truest form. Online purchasing and installations at a nearby Tiger Wheel and Tyre illustrate consumer facing innovations that continue to and have already accelerated the growth of the brand. One more exceptional offering, just launched to market, is the release of the Beame Smartphone App. The app launched on the 17th June to Android and Apple users everywhere and at the touch of a Play Store/iStore button, subscribers take tracking into their own hands. The brand shows that just compiling a list of FAQ’s and making it available on a corporate website is an obsolete CRM practise. Beame has considered how the landscape has changed and moulded a solution that again shakes up the industry. In line with its offering of simplicity, the brand now offers secure contract management at the touch of a button. Important and useful information is now at customers’ fingertips. Grant Fraser Divisional Director: Product and Marketing MiX Telematics (Consumer) explains, “This App goes a long way in facilitating communication with the consumer and the brand as well as insurers and contract holders. In one very funky looking application all Beame contract holders can manage and distribute information to insurers, contact the organisation directly with any queries, report a hi-jacking or vehicle theft and check the proper functioning of a unit for extra peace of mind”. The application will be available on other platforms in the near future with the second release scheduled for July 2014.